Recently, I wrote a review of that versatile, that visionary, that ever-variable chameleon they call hummus. In response, a number of readers requested my recipe. I’d considered it prior, but to be honest, it just didn’t seem fair. 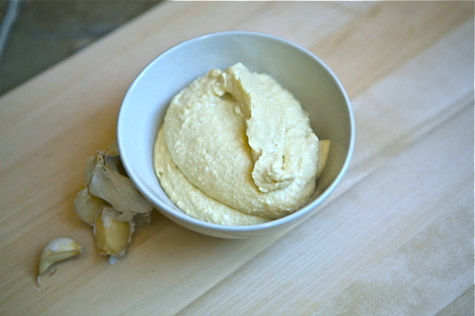 You see, the elegance of hummus is in its simplicity. Posting a ‘recipe’ would feel like cheating on substance. It’s too easy! But clearly, a recipe is necessary. 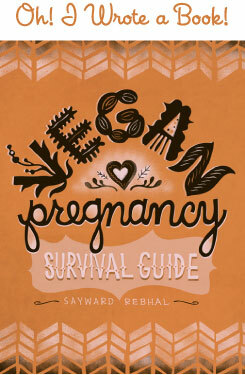 It’s foundational; the keystone to an entire cache of vegan culinary creations. 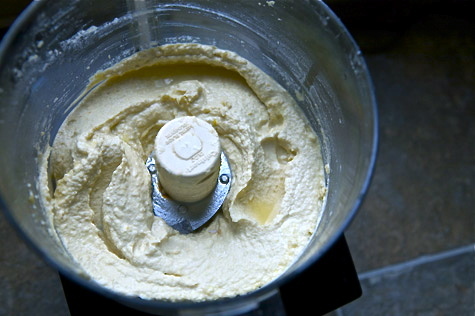 You must master the primary construction of hummus. So I devised a scheme, to give you guys the fundamentals you’ll need – the most basic bare-bones hummus how-to – without compromising my quality of content. I’ve spent the past week entirely immersed in hummus. 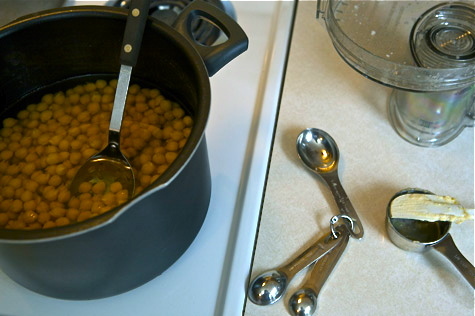 I slow-cooked an entire pound of chickpeas, and over the course of the week I’ve pounded them, blended them, seasoned them, roasted them, styled them, and photographed them in every iteration or adaptation my little mind could imagine. We’ve eaten hummus every day, sometimes more than once, slathered on veggies, stuffed into pita, clinging to falafel, squished between tortillas, riding on corn chips, rolled up in wheat wraps, and even as dressing on salad. It’s been a tough trail to blaze, but somebody had to do it! And so here it is, a not-even-close-to-comprehensive guide to what can be done to this spectacular schmear. We’ll start at the very beginning, a very good place to start. Place all ingredients, except spices, in the bowl of a food processor. If you don’t have a food processor you can use a blender, or an immersion blender, or a potato masher, or a mortar and pestle (old school style! ), or whatever you have around. You get the idea. Blend, blend, blend until smooth and creamy. You may have to add water (or oil) to thin it out. Mix it good and long to get it nice and creamy, and then add your spices to taste. Seasonings may include salt, cumin, garam masala, garlic or onion powder, paprika or cayenne, oregano, basil, dill, thyme, or anything else you fancy. It’ll take a few batches of playing around, but you’ll figure out your favorite ratio pretty quickly. Give it a final blend, and you’re ready to go! From there, you can do almost anything. I’m not going to offer specific recipes, but here’s just a few of my favorites themes from my extensive experimentation. Chunky Olive Hummus, garnished with cayenne and slivered greens. 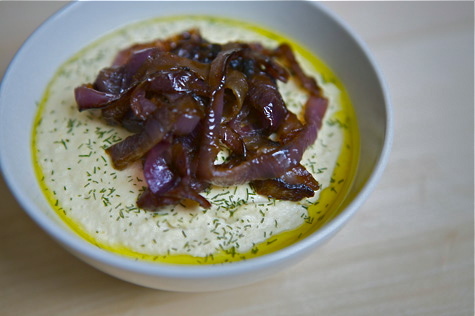 Hummus topped with Caramelized Red Onion and Dill, drizzled with olive oil. 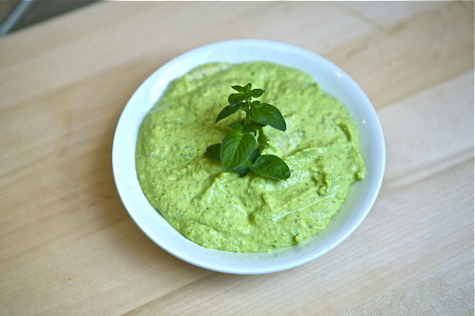 Green Garden Hummus with spinach and freshly snipped herbs. I grow parsley, oregano, and thyme. Topped with a sprig of oregano. 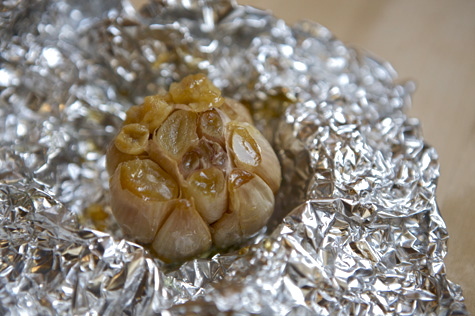 Super Über Garlicky Goodness, with an entire roasted head. This one hurt! Whew! 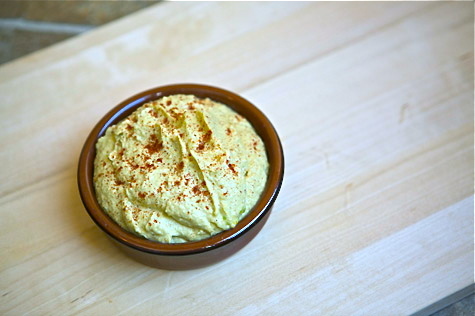 Spicy Avocado Chipotle Hummus, dusted with chili and drizzled with lemon. 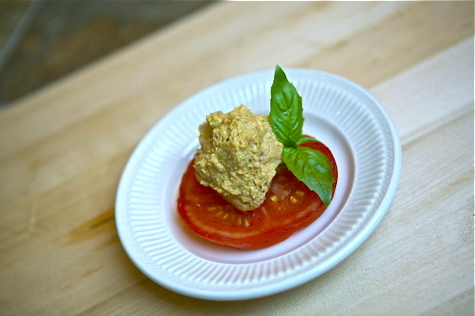 Sun-dried Tomato and Basil Hummus, served on a thick fresh slice. 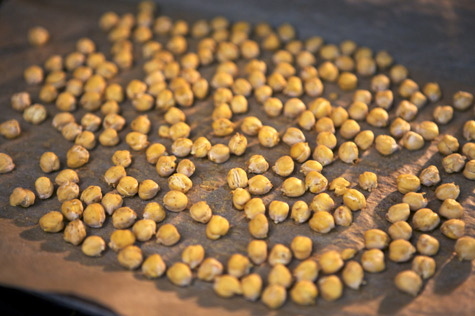 Oven Roasted Chickpea Hummus. This one is great if you want to leave out the olive oil altogether, because the roasting adds a great full-bodied flavor. Cooked in cumin and curry spice, and dusted with cayenne, cumin, and turmeric. I certainly hope I’ve left you inspired. Clearly, your options are endless, and the flavor combinations are infinite. I’m sure you’ll have as much fun as I did, trying to taste them all! And don’t forget to share your favorite creations! @ Amber Kaplan – HOLY AWESOME that’s the greatest thing I’ve ever seen! That made my day, haHA! *DROOL! * Oh my god, this looks fantastic – I just looked at the fantastic pictures, I haven’t even made it to the recipe yet! It looks…scrumptious! I absolutely MUST try this, ASAP! Thanks so much Sayward, this is awesome! 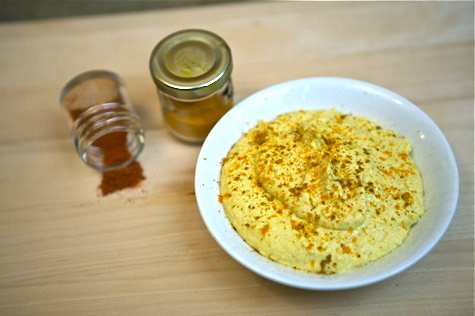 You weren’t the only person out in blog world to post a hummus entry! I took this to be a sign from the hummus heavens and made my own using your recipe! 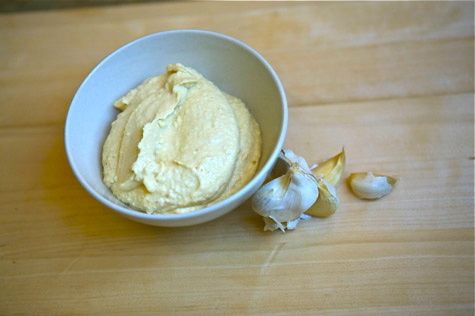 The best way (I think) to eat hummus is with fresh pita or naan. So I did! Thank you so much for posting your recipe and ideas. After I’m done my tupperware container, I’ll definitely try the sun-dried tomato hummus. De-lish! @ Anne – Thanks! And truly, it was my pleasure, HA! @ Becks – The sun-dried tomato was, I think, my favorite version. Fresh basil was key! And I agree, naan is the bestest bread for hummus. I am making home made baked beans for dinner tonight and I still have half a big soup pot of left over soaked beans and I’m not sure what to do with them. They are a mix of navy and pinto beans. Could I make a dip/hummus out of them? Your ideas sound out of this world and I bet they are just as delicious. I particularly like the roasted garlic one! YUM! @ Nathalie – Yes! You can totally sub other beans for garbanzos. Just make sure you cook them (as opposed to just soaking them). If you want it to have that distinctly hummus-y flavor, just sub 1:1 for chickpeas. 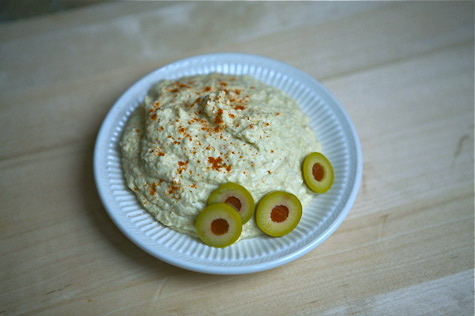 If you want it to be more like a bean dip, leave out the tahini. The oven roasted hummus looks yuummm. Can you please tell me how to make this one? How long do you typically roast them and you still cook them normally afterwards, right? I’ve never been able to make a hummus like the ones at the grocery store, but I soooooo don’t want to pay three bucks for a quarter of the hummus I could make at home. @ Alyssa – To roast them you cook them first, so you’re starting with the equivalent of what would come out of a can. From there you can just season them however you want (salt and pepper? cumin? cayenne? whatever!) and spread them on a tray (non stick or parchment). Roast at 400ish until they look nicely browned. Easy peasy!